All of the features and benefits of the Stahls Fusion heat press, now in a heavy-duty model powered by an air compressor (not included). With hands-free auto-swing, innovative EZ-On platen design. 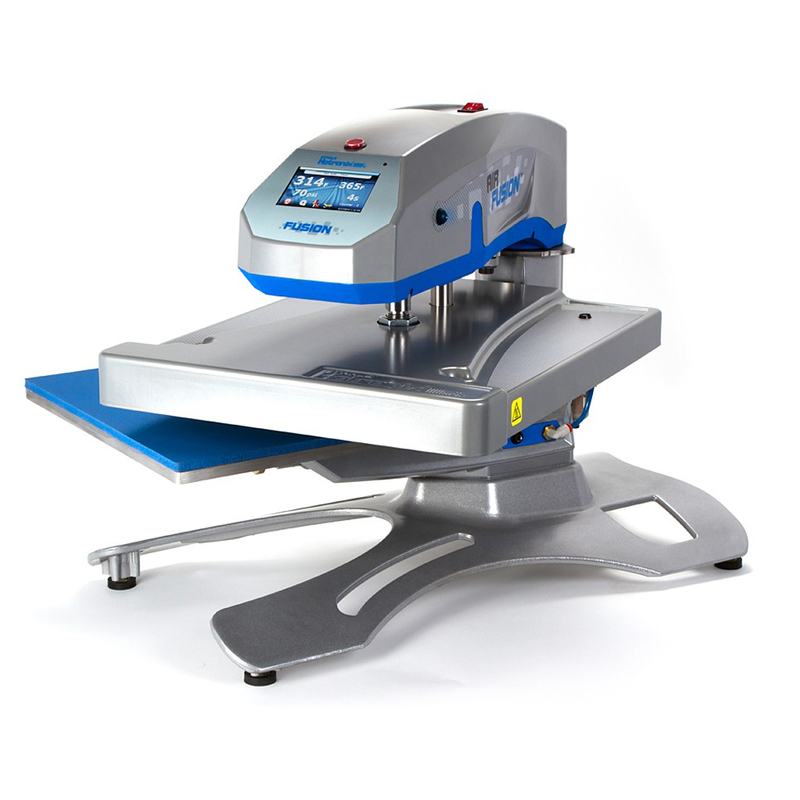 The Air FUSION heat press eliminates the need for pillows and pads while offering operators a heat-free workspace. - Auto Adjust Pressure™ with four different pressure and time settings that auto-adjust pressure for all recipes. - Data interface port for software upgrades.